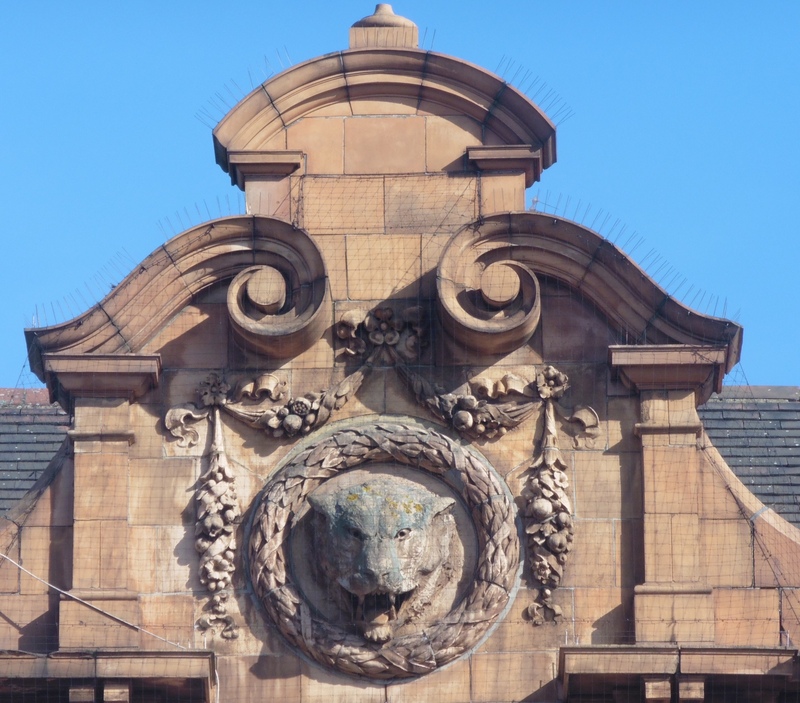 One of the more depressing sites at the Lee Green crossroads is the slowly decaying New Tiger’s Head; it ought to be a focal point but the decline on such an impressive building was sufficient for the Victorian Society to include it on their 2017 list of 10 most endangered Victorian and Edward buildings – previous local listings have included Ladywell Baths. Oddly, for such an impressive building, it isn’t nationally listed, even locally listed by Greenwich. The New Tiger‘s Head started life as a beer shop known as the Tiger Tavern in the 1830s – it was a name that, off and on, it retained into the early 20th century. It was at the western end of a group of four cottages known as Prospect Terrace which were built at around the same time and had the same ownership. These cottages remain, housing a post office/newsagent and a hairdresser’s. To confuse matters, it was partially on the site of its near neighbour the (Old) Tiger’s Head which had moved to its current location in the mid-18th century. So what was a beer shop or house? 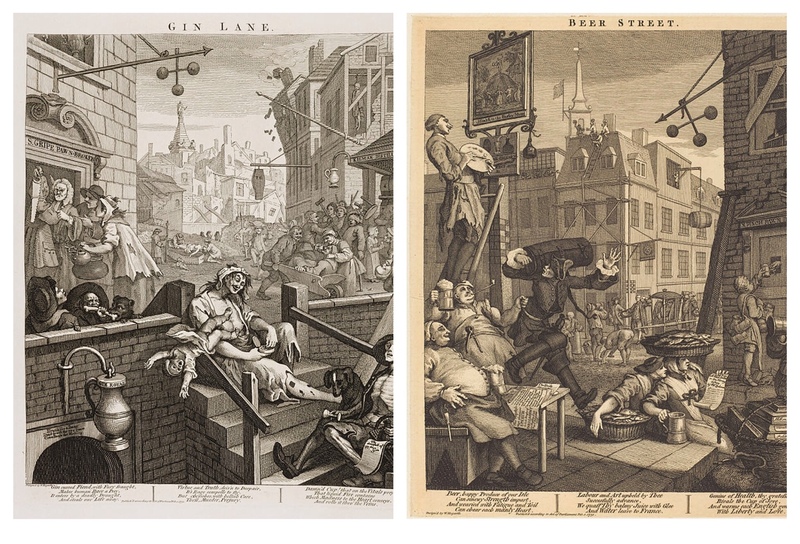 It had its roots in earlier social problems caused by excessive consumption of gin – made famous by Hogarth’s prints on the evils of Gin Lane and the relative merits of Beer Street in the 1750s – see below (1). In the 1820s and 1830s governments were attempting to deal with widespread drunkenness through gin drinking which had partially arisen through high levels of taxation on beer. The Beerhouse Act of 1830 abolished the tax on beer and allowed the opening on premises that could only sell beer and apart from an annual 2 guinea licence fee there was only limited control over their opening and limited regulation. This was very different to the strict regime that existed for public houses which could sell wines and spirits too. 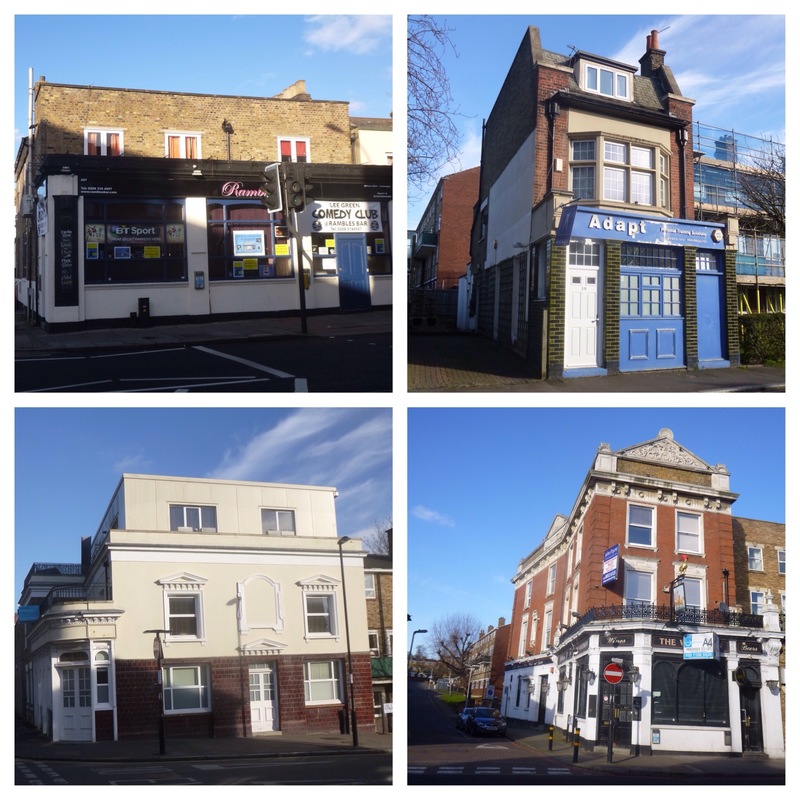 The beer house was the starting point in licencing terms for many Victorian public houses and there were often long campaigns to get turn the beer house licence into a full pub licence. By 1841 the New Tiger’s Head seems to have been a successful business, it was described as being ‘intended for a licensed house, doing an extensive trade’ it was sold with the four neighbouring cottages – the lease was for 80 years with a ground rent of £17 a year (2). In the 1840s seem to have seen the first recorded applications for a full licence for the New Tigers Head in 1847; unsurprisingly, it was opposed by Charles Morton, landlord of the Old Tigers Head opposite (3). By 1849 the landlord was William Charles Pickup, he made the third application for a full licence – it was based on the growth of area and coming of the railway. It was again opposed by Charles Morton, and was again refused by the bench – who noted that if Pickup ‘ever expected to gain a licence, he must conduct his house in a better manner.’ (4). Pickup was a relatively young man, just 27 when the census enumerators called in 1851 Census. Pickup sold up in 1853 and there was a sale that year of assorted household possessions and a ‘light gig with excellent springs, patent axels, leather cushion etc.’ (5). Each September the case for a full licence seems to have been made to the magistrates, and it was refused in 1856 (6) and the following year a petition against the request was presented to the bench ‘ numerously signed by the clergy and resident gentry of the place.’ It was again refused (7). The opposition from the clergy and the gentry shouldn’t be seen as any form of tactic support for the Mortons and their running of the Old Tiger’s Head; rather it was an opposition to drinking and pubs per se. Much of the same group were behind the setting up of Lee Working Men’s Institution in 1854 in Boone Street. Despite its name, it was no working men’s club and promoted the expansion of knowledge and abstinence. Running Past will return to this in the future. James Phillips, described in the 1861 census as a refreshment house keeper, took over the licence in the late 1850s. 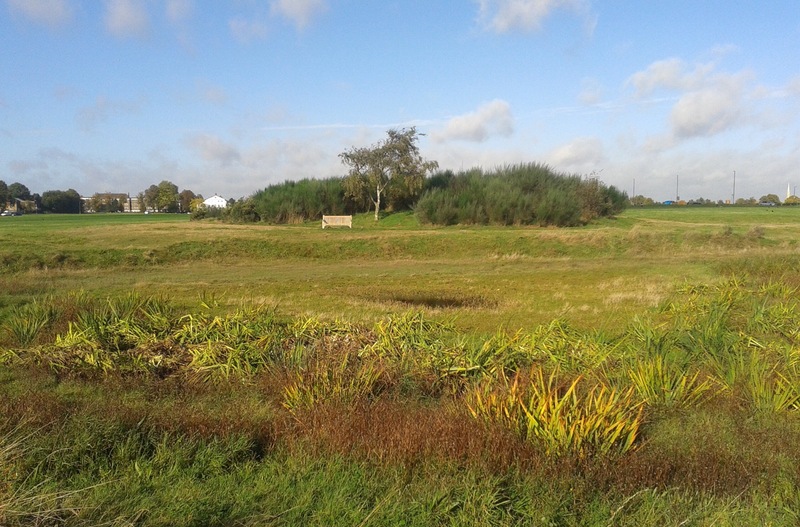 He used the petition tactic with his application getting support from several farmers and market gardeners of the area – perhaps including Richard Morris at Lee Green Farm, (pictured below from the information board at Lee Green) William Brown at College Farm, Thomas Adams of Burnt Ash Farm and Thomas Blenkiron at Horn Park Farm. It was again opposed by the landlord of the Old Tigers Head, now Caroline Morton, mother-in-law of John Pound (soon to be owner of the Northbrook). She used a different tack in the opposition to that used by her late husband, claiming the name would be too similar. Phillips suggested that it was a requirement of his lease, but he would be happy to call it ‘The Monkey’ or any other animal to get a full licence (8). Unsurprisingly, the licence was refused, although a licence for selling wine (but not spirits) was granted later that year following new legislation (9). Phillips, who was married to Martha and employed two live-in bar maids and a waiter in 1861, had another application rejected in 1861(10) but, after an adjournment in 1863, he finally obtained a full licence (11). Almost as soon as Phillips had obtained the licence he sold his interest to Marchant Bowyer Warner, presumably it was worth much more than it had been as a beer house (12). Phillips had planned to extend the frontage of the beer house in 1863, but permission had not been granted (13). However, Warner was quick to extend – adding a billiard room in 1865 (14) along with some other alternations in 1866 (15) and a new sign, which required permission, the same year (16). 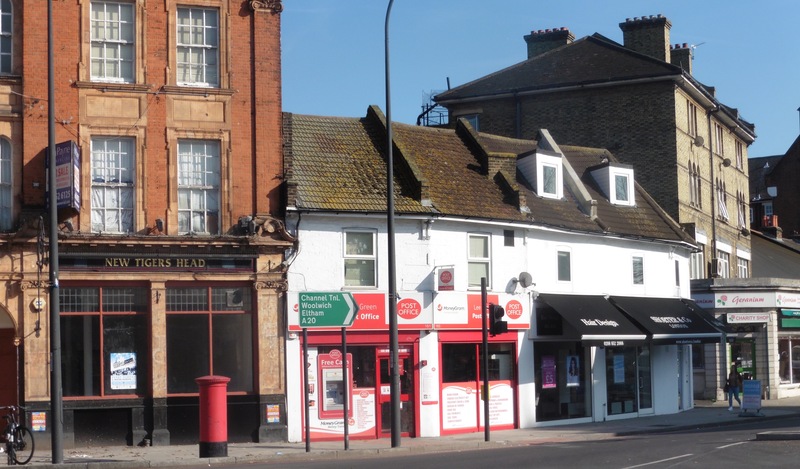 Warner was only 28 when he took over the tenancy in 1864; it wasn’t his first licence though – he’d been the publican at the Duke of Wellington in Shacklewell for just over a year before that. Whether he had inherited wealth or the now fully licensed New Tiger’s Head was very profitable indeed, he was listed as a retired Licensed Victualler living in nearby Cambridge Drive by 1881. He stayed in Cambridge Drive for the next three censuses and died in Lewisham in 1921. There was a series of landlords in the 1880 and 1890s, with Edward Dicker (1881), John Stevens (1883) and Emma Porter all being licensees (17). There were then brief interludes of Frederick Morgan (18) behind the pumps, followed by George Rose (19). Arthur Strutt Lindus took over soon after and was fined £8 12s for watering down beer in late 1894 (20). Lindus had been a licenced victualler before at the Heaton Arms in Peckham in the 1871 and 1881 censuses. 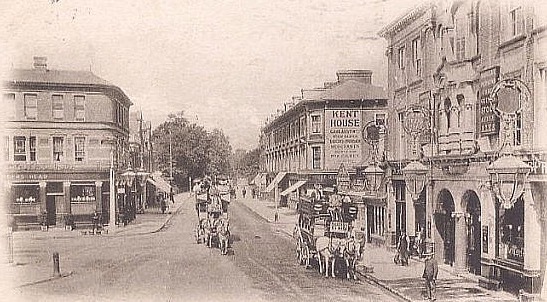 The pub seems to have been re-built in its present form in the late 1890s, a year or two after the Old Tiger’s Head on the opposite corner of Lee Road. The landlord when it re-opened was probably Neville Dedman, part of a family with a strong tradition of running pubs. Most recently, his father William had been publican at the Old Tiger’s Head before it was rebuilt in 1896. Despite all press reports noting it as the New Tiger’s Head, it was listed as the Tiger Tavern again in the census. 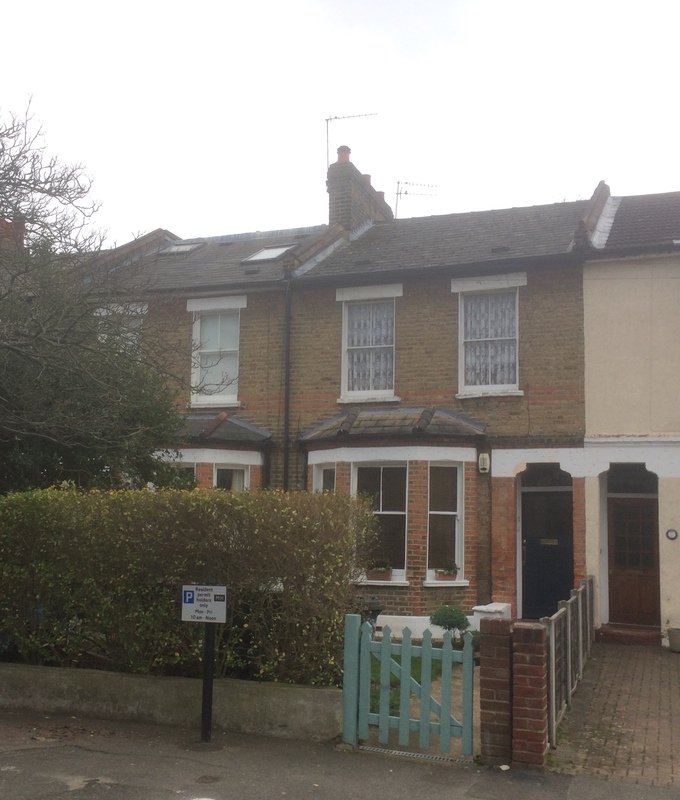 For reasons that aren’t clear William, who lived a short way up Eltham Road, took over the tenancy in 1902 (21). 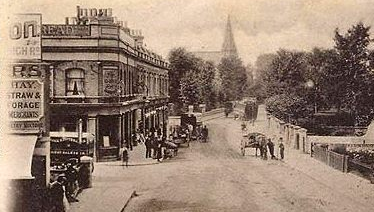 He was eyeing up other options though and got permission to build the Station Hotel in Hither Green in 1905 (22). Sadly, he died in 1906, the year before the Station Hotel opened and his widow, Jane, was to become the licensee. Neville was in control though by the time the census enumerators called in 1911. Neville saw out his days in an appropriate location for the pub keeping traditions of his family, at the beautiful, on the outside, at least, Licensed Victuallers Benevolent Institution Asylum Road in Peckham (See below – on a Creative Commons via Geograph) in 1939 Register. John Reynolds from Cambridgeshire took over the tenancy in 1904, with his wife Elizabeth who hailed from Hitchin, and remained there until his death in 1914. 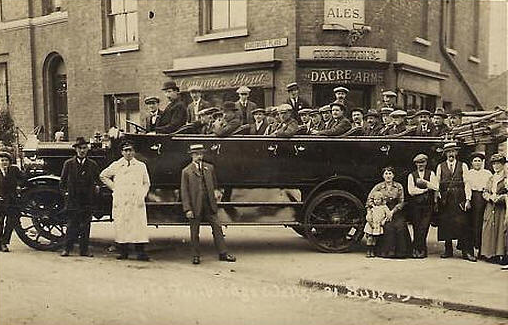 Albert James Bromley succeeded the Reynolds for 5 years but the long term licensee was Robert Prichard who took over in 1921 and was certainly there in the 1939 Register, then aged 71 with Agnes who he had married in 1925. They had 5 live-in staff to help them run the business. Robert probably remained there until his death in 1945. It probably wasn’t his first licence as a Robert Pritchard of right age was running Red Lion, 1 Eldon Street, Shoreditch in 1901. The pub ceased trading in 2005; it was no doubt the victim of a number of factors – cheap supermarket drinks and some of the local factors that led to the demise of the nearby Prince Arthur – the closure of the police station and the slow haemorrhage of offices from Leegate House and Cantilever House (above the Leegate Centre). 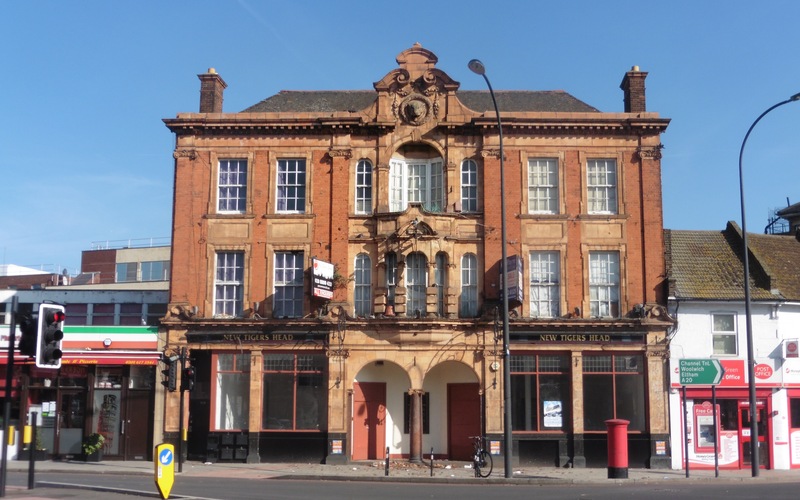 There are suggestions too that the owners, Enterprise Inns ‘ran this place into the ground’, although the arrival of Wetherspoons’ Edmund Halley about 50 metres away with its cheaper beer and more welcoming feel at around the same time was probably more pivotal in its demise. 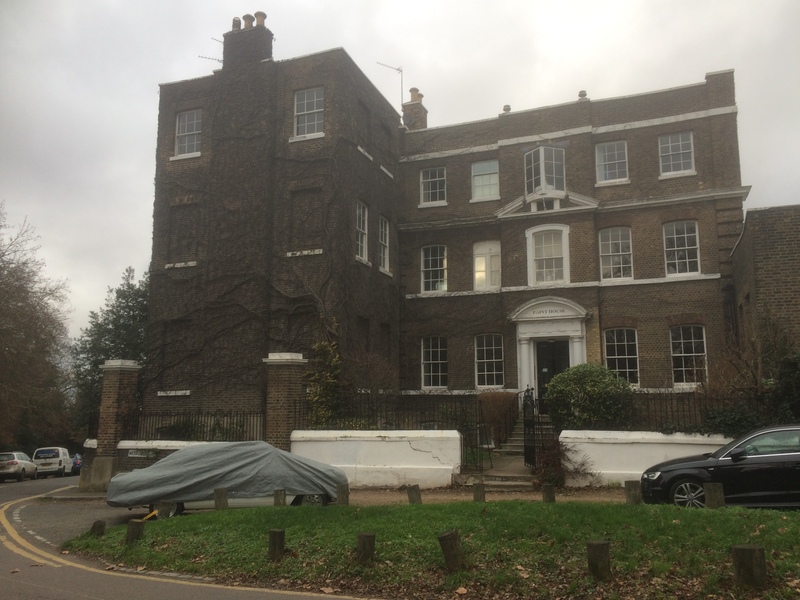 The building isn’t completely empty, the upper floors have been turned into 6 flats – with an annual rental income of over £70,000 – the interior has been recently had some emergency works undertaken to secure the interiors from further damage following discussions with both Lewisham and Greenwich Councils. As Joe O’Donnell has noted (see comments below) – there was an unsuccessful application to Greenwich to turn the ground floor into flats in 2016. At the time of writing (March 2018), the freehold is on sale with offers of £2.5 million sought. Ironically, when the plans for St Modwens redevelopment of the Leegate were first mooted there were suggestions that Wetherspoons might move to the New Tiger’s Head, although there has been nothing recent in the local media on this. Unlike many other closed local pubs, there haven’t been pages of memories posted on Facebook – maybe there hasn’t been a trigger to do it… So, if you worked there or drank there, tell your story, who were the characters who propped up the bar, the landlord, the staff, the atmosphere, the memorable nights, the particular celebrations that were held there, memories of the friends, the beers. Post them below (you can use your Facebook or Twitter login – or via Facebook (if you found the post via here) – if it is you first comment ‘here’, you will have to wait for it to be ‘moderated’. I will update the post with comments. Anything libellous though will get deleted here & no doubt on the Facebook Group pages. 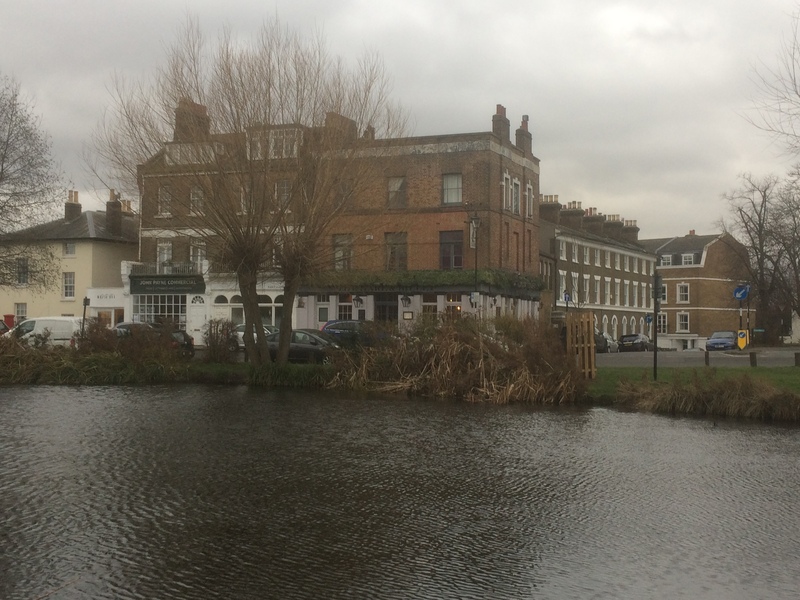 This entry was posted in Greenwich History, Lewisham History and tagged Lee, Lee Green, Lee Road, New Tiger's Head, Old Tiger's Head, Tiger Tavern on March 14, 2018 by Paul B.